Do Malamutes Do Well in Hot States? Malamutes and hot weather don't go hand-in-hand, but with some adjustments, you might be able to own one in hot climates. An arctic dog in a hot climate seems like an oxymoron. After all they've got tons of hair and overheat easily. 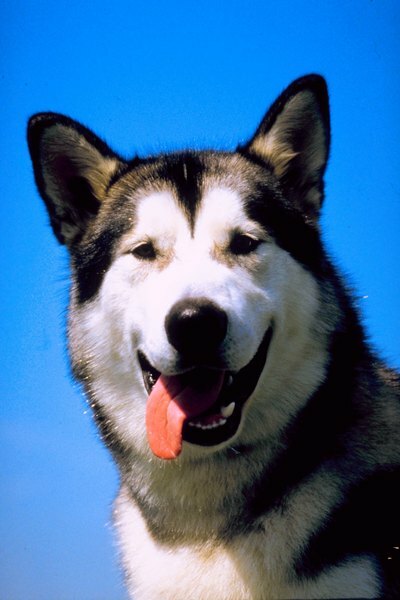 But if your passion is Alaskan Malamutes, you may wonder if you can own a dog where you live. The answer is yes, but with many caveats. One look at the Alaskan Malamute and it's obvious they're not intended for the impressively hot weather of the southern states and countries. They're an ancient breed bred for the cold, unforgiving coastal areas of Alaska and Canada with thick double coats. An Alaskan Malamute who has never experienced summers with hot weather isn't going to do well in hotter places just because the dog has never gotten acclimatized to the heat. But Can You Have One? The trick to owning an Alaskan Malamute in hot areas is to understand that your dog needs special care. Keeping a dog outside during the day is a no-no -- your Malamute needs air conditioning more than you do and will camp out at the air conditioning vents. Cold, fresh water at all times is a must, and daily brushing and combing to keep your Malamute's coat free from loose hair and debris. Malamutes blow coat (shed profusely) twice a year. In hotter climates, you'll be convinced it's snowing in July (or whatever month your Malamute decides is the right time to blow his coat). Guaranteed you, your clothes, your furniture, your car, your house, and anything you and your Malamute comes in contact with will be covered in Malamute undercoat. Own more than one Malamute, and you might as well take up fur spinning and knitting, because you'll always wear your dog's hair anyway. Brush out your dog's undercoat as best you can every day to avoid matting and excessive hair keeping your pooch hot. During the hottest times of the year, limit your Alaskan Malamute's exercise to the coolest parts of the evening or skip it altogether. Keep your Malamute trim--extra fat means extra warmth--but don't overwork him. Your Malamute would rather hang out indoors with a water bowl than go out in that heat anyway. Malamuterescue.org: So You Want an Alaskan Malamute? Do Boxers Do Well in Apartments? How Do Cats Determine Dominance? Do OTC Roundworm Medications Work for Cats? Do Cats Mourn the Loss of a Dog? Do Dog Clothes Make Great Gifts? Why Do Dogs Shake Toys?